Who needs Munich and the crowds when you can celebrate one of our favorite times of the year in a tiny pub and hotel in medieval Rothenburg ob der Tauber? 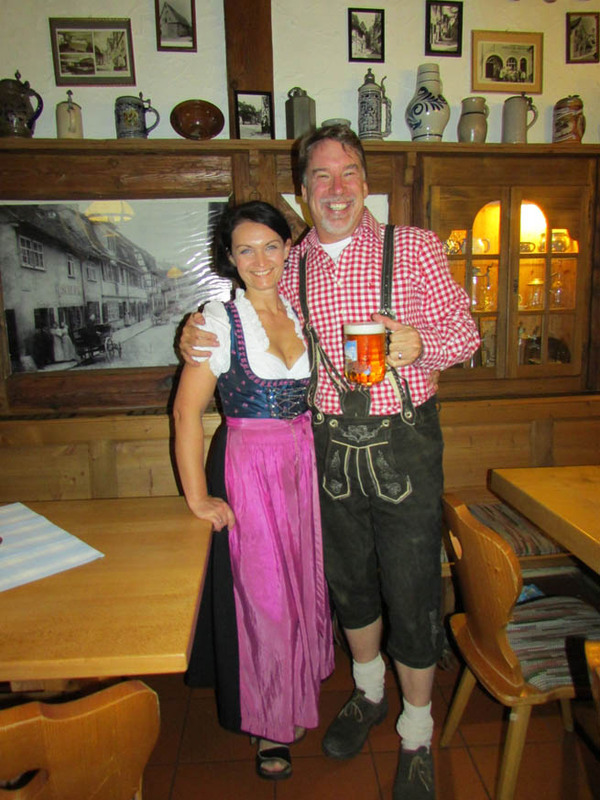 James Derheim poses in his new lederhosen with Miriam, the co-owner of ‘Alter Keller’ in Germany’s prettiest town. Posted in Germany Tours and tagged alter, germany, keller, lederhosen, september, tours.